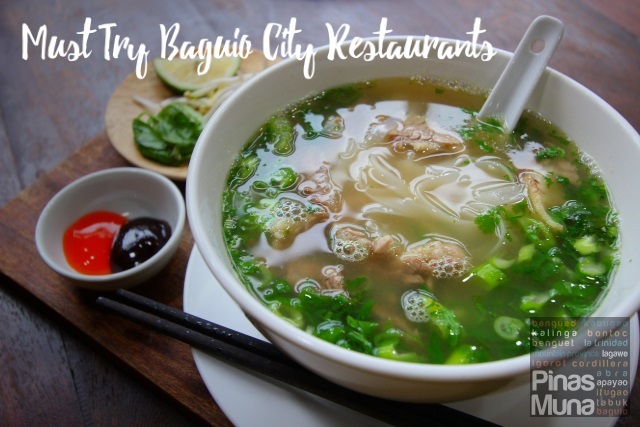 DIPOLOG CITY, Zamboanga del Norte - We sampled again the Dipolog City nightlife and went where the locals go for beer and barbecue. 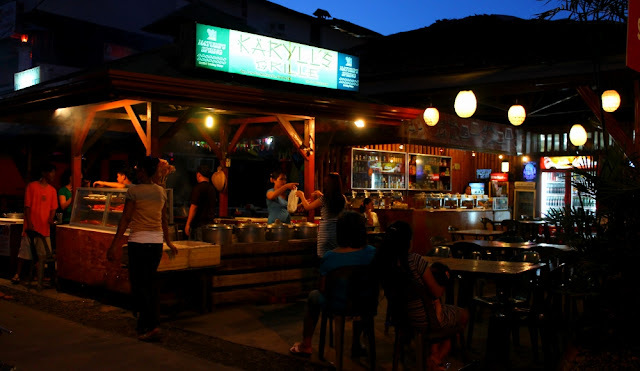 There are several bars in Dipolog, but we chose this open air restaurant - Karyll's Grille. 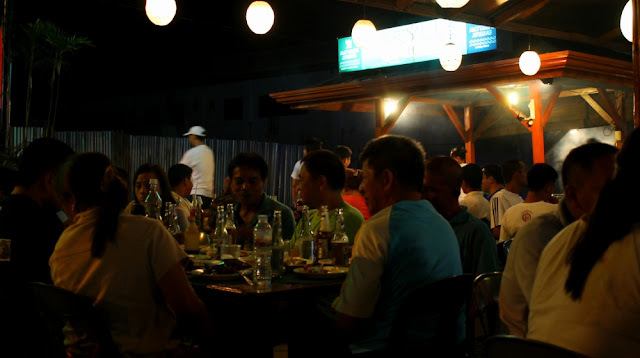 A typical Dipolog evening usually revolve around barbecue, they just can't have enough of it. 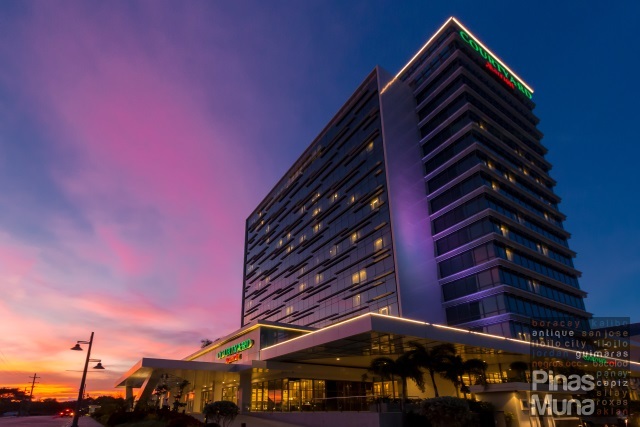 It was not a surprise that an area along Sunset Boulevard was designated for barbecue stalls. But if you want beer to go with your barbecue, then head to the bars and restaurants. By nine o'clock in the evening, Karyll's Grille was already full, but people (usually on motorbikes) kept on arriving. We started the evening with grilled chicken and puso (rice) for dinner. 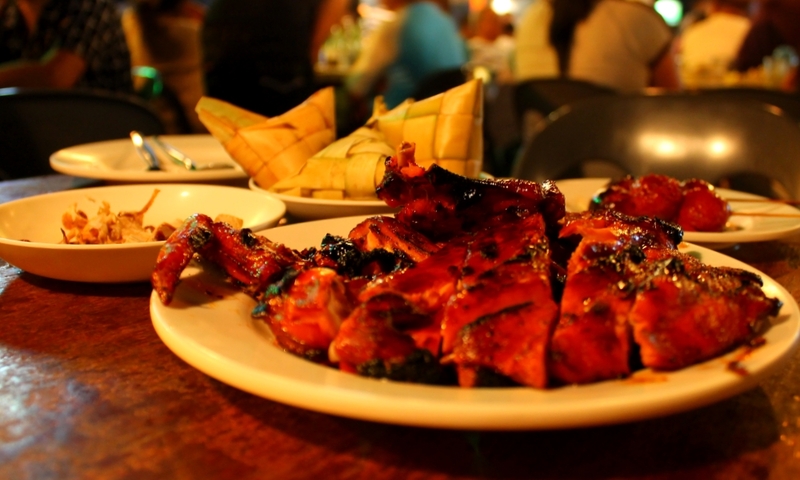 It appeared to be one of the best seller as almost every table had a plateful of this chick. It did not take long for us to finish our dinner. Let's just say, we did not keep it long, as we were already fancying for ice cold beer. 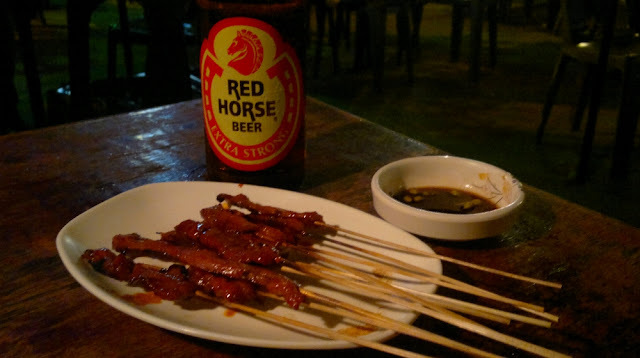 So from canned so soda, we switched to ice cold bottle beer, and there was no better pulutan (finger food) than their bestselling pork barbecue at P3.00 per stick. Time really flies if you have great company, listening to top hit music and enjoying the best beer in the world. Round after round of beer went, and we did not notice that it was already 12:30am. It felt like the evening has just started as people still kept arriving. We finally called it an evening and left at 1:00am.